Getting Ready For Karmic Koala – Clean Install or Upgrade From Jaunty? This is a part of a series of articles called "Getting Ready For Karmic Koala". You can read the other parts here: 1, 2, 3, 4, 5. 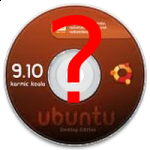 As the date for the release of the final release of Karmic Koala approaches, a big question with everyone is "Do I do a clean install or upgrade from Jaunty?". In this article, we discuss that question. As many of you must be knowing, there are two ways through which you can get Karmic Koala in your computer - clean install and upgrade. Both approaches have their own advantages and disadvantages. So, here we present to you some reasons to do a clean install or an upgrade. To get ext4 file system: If you want to have the all new ext4 filesystem, the easiest way to get it is to do a clean install. Of course you can upgrade to ext4 from ext3, but this is generally not encouraged as you will not get all the capabilities of ext4 if you upgraded from ext3. So, if you are eager to use ext4 in all its glory, you have to do a clean install. To get GRUB 2: Yes, we wrote an article on how to upgrade to GRUB 2 and it works. But the easiest and safest way to get GRUB 2 is still a clean install. Move to 64 bit Karmic: If you have been using a 32-bit version of Jaunty with a 64-bit hardware and want to move to 64-bit Karmic, the only option you have is a clean install. There really is no way you can upgrade from 32-bit Jaunty to 64-bit Karmic. Older Versions: If you are using an older version (older than Jaunty), with the exception of 8.04 Hardy LTS, it is better that you do a clean install to get Karmic. Otherwise, you will have to upgrade to Jaunty or Hardy first, and then upgrade to Karmic. You are having problems with your current installation: If you are having problems with your current installation, there is a great chance that the problem will get carried over to Karmic when you upgrade. So, you are better off doing a clean install in this case. You have some data that you cannot absolutely loose and there is no way you can take a backup of them. You have some settings/configurations that you absolutely cannot loose in your current installation. Frankly, these two are the only two reasons I can come up why you need to do an upgrade instead of a clean install. And generally, clean install wins and it is the recommended way of getting Karmic Koala in your system. If you feel I have missed some points, do let me know through comment.